Balmenach Scotch Whisky Distillery opened in 1824 and was built by James McGregor. It is presently own by Inver House Distillers and it produces Balmenach 12 Year Old and has a number of independent bottles. In the past it did contributor Johnnie Walker blends. The water source for this distillery is the spring water from the Cromdale Hills and is used in all their whisky brands. The address is Balmenach Distillery, Cromdale, Moray, PH26 3PF and telephone is 01479 872569. 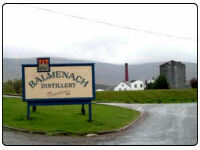 If you like to read and know more about Balmenach Distillery please visit www.balmenachdistillery.com.